The court termed the petition as a half-hearted attempt to make serious inroads in the territory of privacy of an individual. Panaji: The Bombay High Court Thursday dismissed a plea seeking medical examination of ailing Goa Chief Minister Manohar Parrikar and releasing the diagnosis in public domain as “outrageous overstepping” on an individual’s privacy, saying mere ill-health does not make a constitutional functionary “incapable” of holding his post. Parrikar, who is suffering from a pancreatic ailment, is more or less confined to his house since October. A division bench of Justice Prithviraj K Chavan and R M Borde termed the petition as “a half-hearted attempt to make serious inroads in the territory of privacy of an individual”. 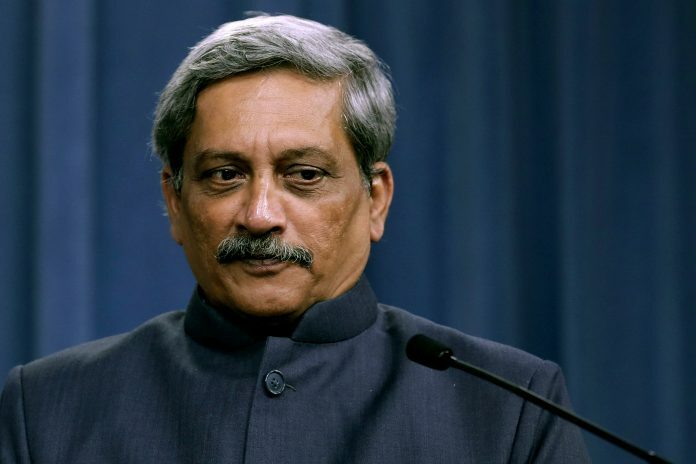 Petitioner Trajano D’Mello had sought details of Parrikar’s health and demanded that a panel of doctors examine him and submit a report which should be made public. “The constitutional functionary, merely on account of his ill-health, is not incapable to occupy the constitutional position which he occupies on account of his proven majority before the House of Legislature, and any individual who has rival political interest has to adopt a democratic method to unsettle the political power,” the Goa bench of the High Court said. The court also said the petition sought “strictly private and confidential information which deals with the privacy of the chief minister” without making him a party to the proceedings. “This was not acceptable,” it said. A plea under the garb of public interest litigation (PIL) will have to be categorised, as stated by the Supreme Court, as a “publicity interest litigation” or “private interest litigation” or “political interest litigation”, the judges said.